Auburn Mechanical partnered with DPR construction on the full-mechanical, design-build TI located on the 5th floor of the Market Place Building. WRNS Studio is a planning and architecture firm from San Francisco, with a focus on high-quality, sustainable design. 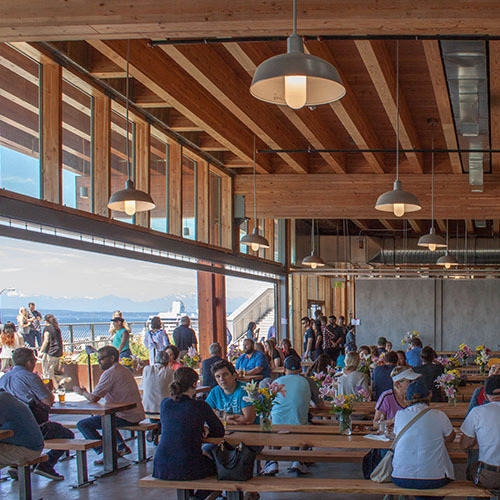 Recently WRNS was named the #1 architecture firm in the US by Architect Magazine for 2018, and they are in the early stages of a strategic push into the Seattle market. Their constant pursuit of sustainability was evident during the design process. LEED V4, WELL 2.0, and LBC (Living Building Challenge) were all carefully considered and selectively integrated into the design. LBC presented a new challenge to the Auburn team who took it in stride. With only a handful of projects, LBC certified in Seattle there was limited historical information to reference. A component of LBC is the “Red List” material list which asks that design teams show due diligence in engineering these red-listed projects materials. Material vetting, selection, and purchasing were all key phases of this project and required extensive research and documentation. 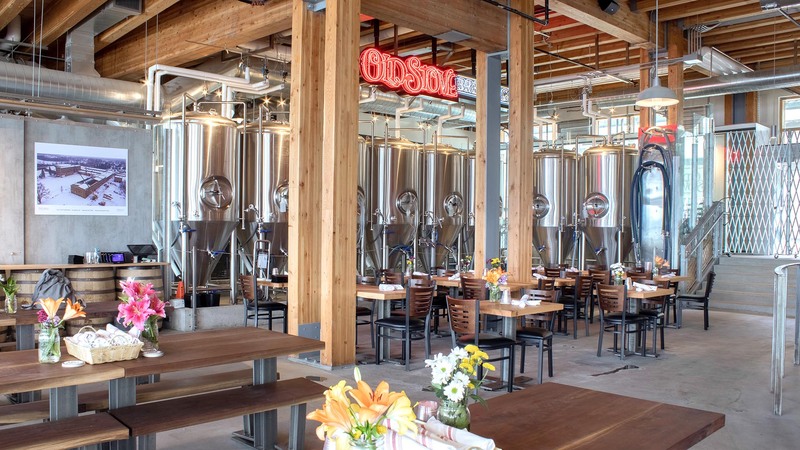 Located in the central terminal of the SeaTac Airport, the Pallino Pastaria is a full-mechanical, tenant improvement project under Wilcox Construction. 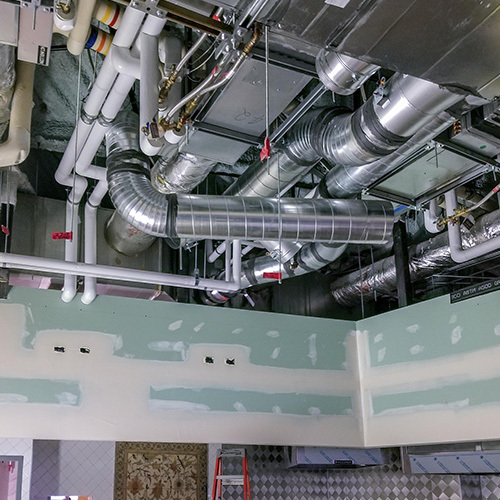 Our team performed the grease ducts and hoods, fire wrap, and standard insulation in the space. There was plenty of design assistance from our project management and field team to ensure the project was a success. The restaurant’s owner is directly involved in many aspects of the project and has required assistance in making his vision into a workable reality. This is the first Port of Seattle job Auburn has been involved in for several years. The Pallino Tenant Improvement is located in a terminal area with three other restaurant tenant improvements currently under construction. Auburn Mechanical is the full-mechanical contractor for a whole-building renovation of the University of Washington Kincaid Hall. The UW originally built the building in 1969 as the zoology building, and after years of use, it is being upgraded up to modern standards for use by different departments within the university system. The project utilizes the progressive design-build delivery. Auburn Mechanical is teamed up with PAE to design and build entirely new mechanical and plumbing systems for the building. 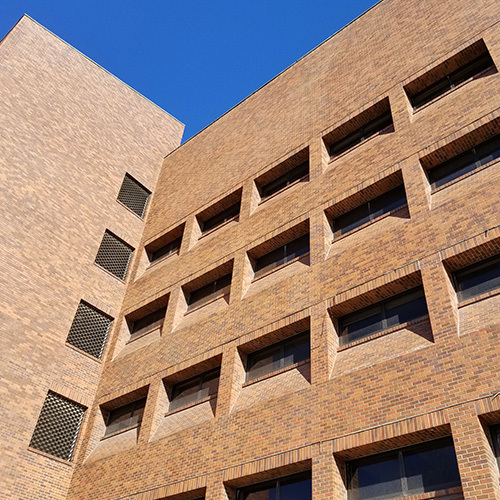 The users are currently scheduled to move out of the building in May of this year to allow for demolition and abatement before construction starts in the fall. The expected completion date is late 2020. 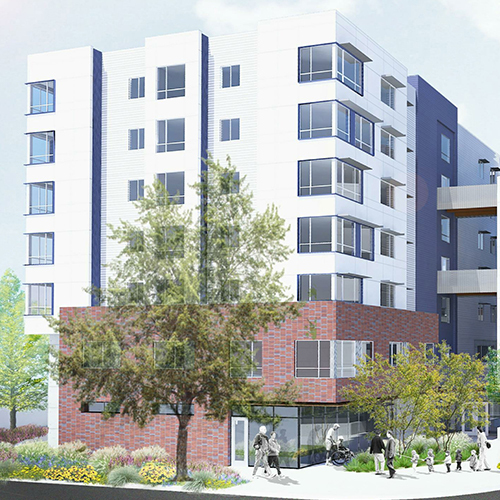 This will be Auburn Mechanical’s second progressive design-build project with the University of Washington. 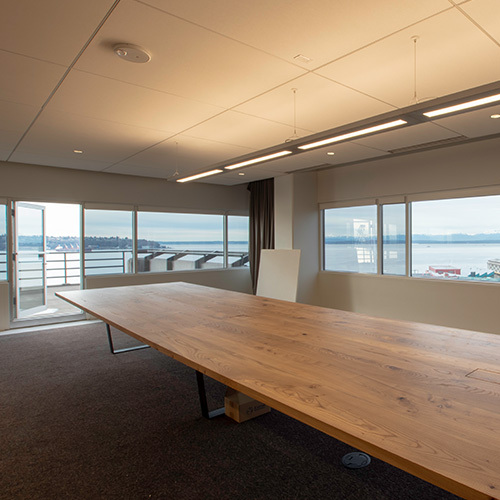 The UW Tacoma McDonald-Smith project was completed while occupied by a tenant on level one. 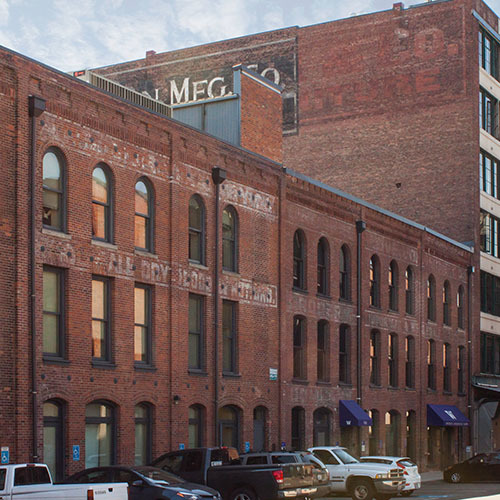 The historic 1890 building was renovated, which added office and meeting spaces as well as a new mechanical system. Auburn was responsible for the HVAC and plumbing on the project. 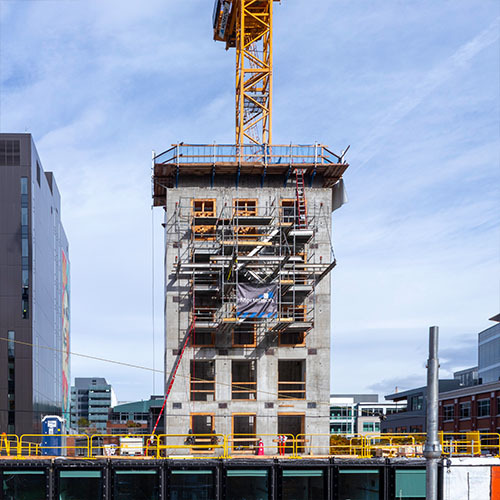 Auburn Mechanical is currently roughing in mechanical and plumbing systems for the first hotel in Seattle with fully modular hotel rooms. The lobby, offices, and building infrastructure are being built traditionally, and the modular guest rooms risers are being installed by our skilled tradespeople. We are excited to be a part of this unique and innovative project. 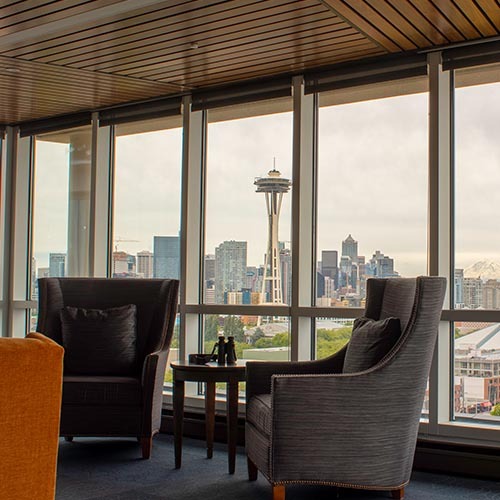 Located in Queen Anne, the Bayview Retirement Community offers enhanced retirement living improved with the renovation of the old building. Auburn Mechanical is the MEP engineer and design-build partner. 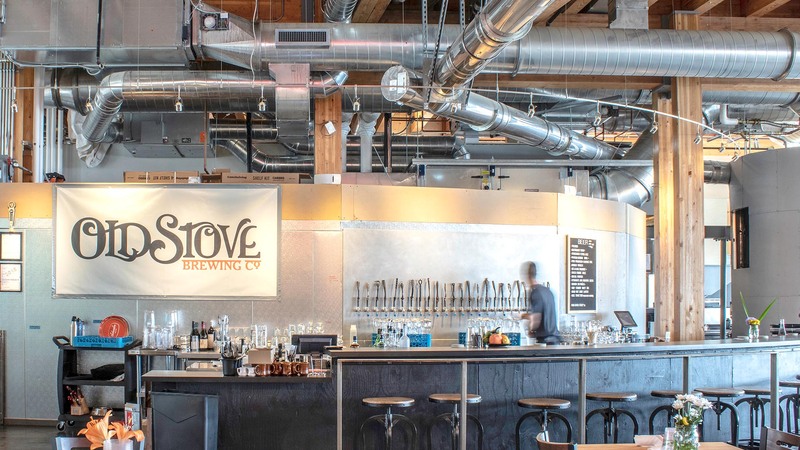 The Old Stove Brewing Co. is Seattle’s newest brewery, and Auburn Mechanical had the privilege of being part of the team that brought the brewery’s second location to life. 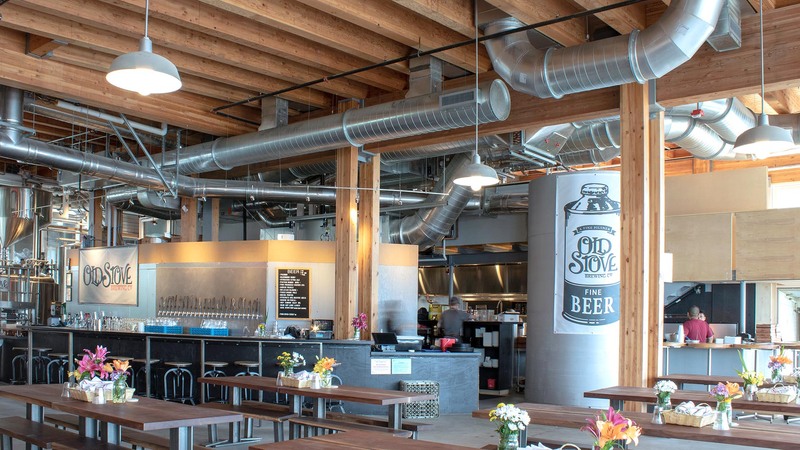 Located on Western Avenue in the Pike Place Market’s new MarketFront building, the brewery overlooks the Puget Sound and has great connectivity to the revitalized waterfront. A temporary bar was established early in the project to coincide with the MarketFront’s summer grand opening. The full brewery and kitchen have opened. Auburn’s crews were faced with challenges both new and familiar, including the installation of a steam line which not only required coordination between Pike Place PDA, SDOT, Historic Seattle Preservation Foundation, and Enwave (Formally Seattle Steam) but also had to work around an art installation along Western Avenue. Existing MEP infrastructure was relocated to provide more headroom for the new mezzanine. 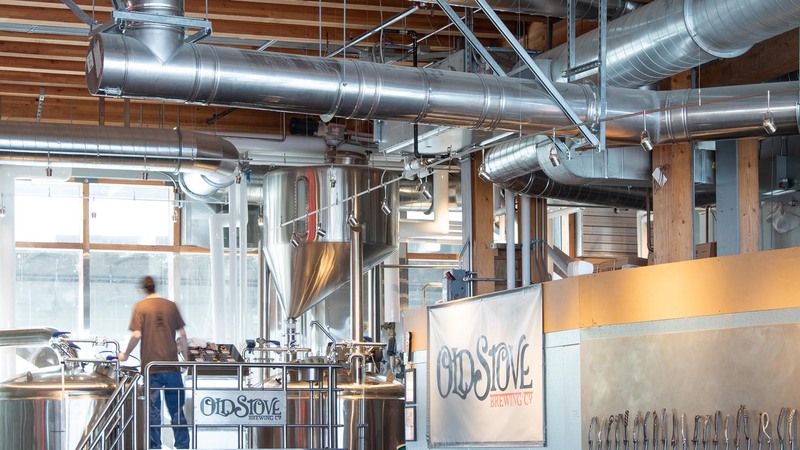 The brewery also required a waste cooling and pH neutralization system, which is in a high traffic parking garage. 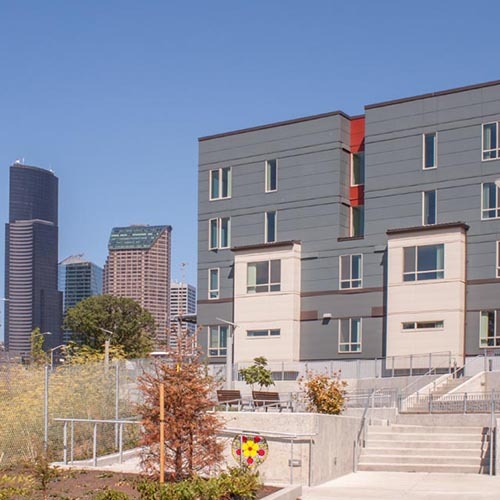 Located in the Yesler Terrace neighborhood, the project has 130 units, 75 parking spaces, and 5,000 SF of community space. 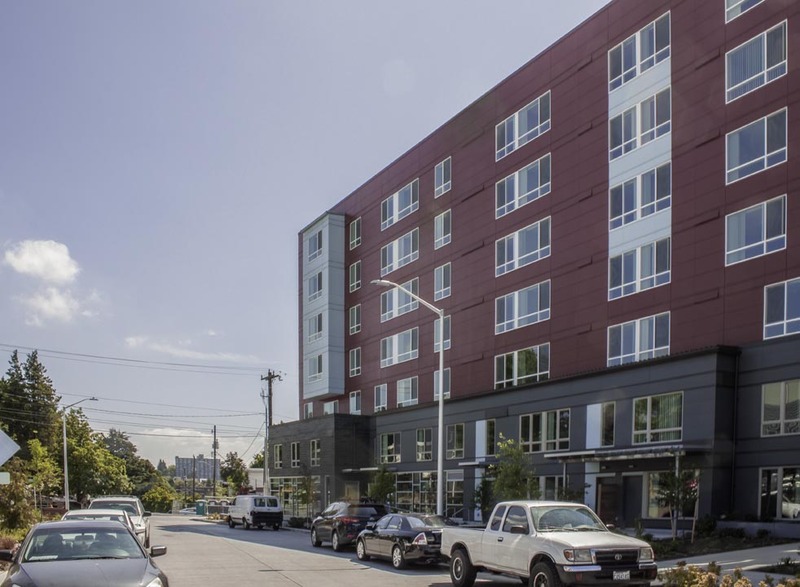 7th & Gilman is a mid-rise apartment complex on a six-acre space with 340 multi-family units. Apartments will be built in three buildings, with each building being five-stories tall, and will reside above underground parking garages. The scope of work includes full mechanical on all buildings associated with the project. 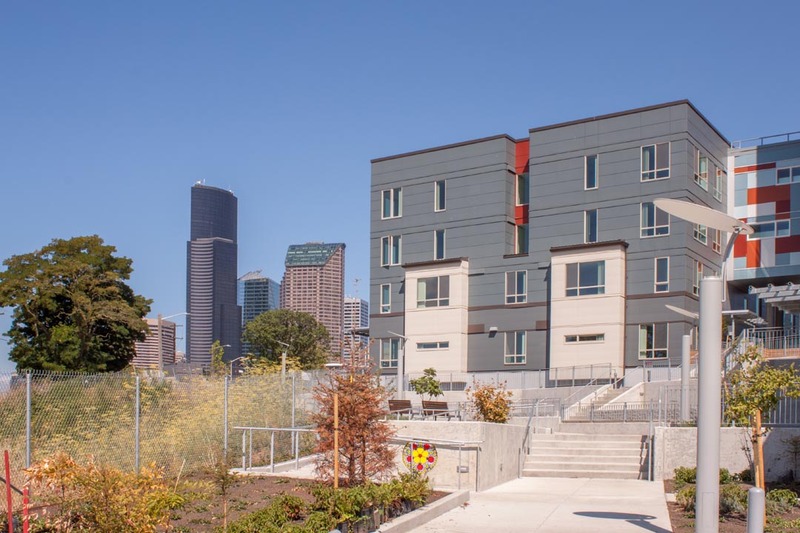 Hoa Mai Gardens is a new 111-unit, low-income-housing apartment complex in the Yesler neighborhood of Seattle. 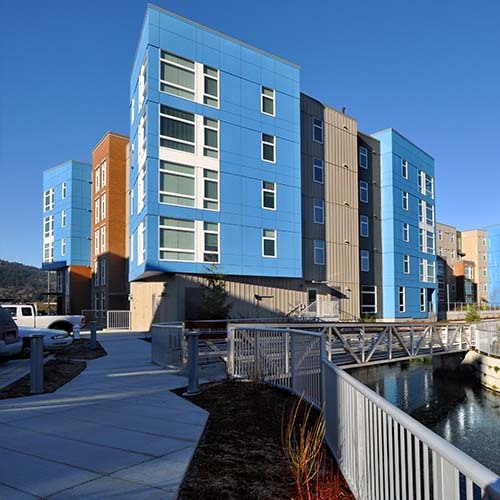 The project was for the Seattle Housing Authority, and Auburn was the design-build and full-mechanical contractor. Other features of the project include a rainwater harvesting system that provides water for the toilets and the solar-powered boilers.